Time for a TeacherspayTeachers Sale-ebration Giveaway! - Fern Smith's Classroom Ideas! Time for a TeacherspayTeachers Sale-ebration Giveaway! 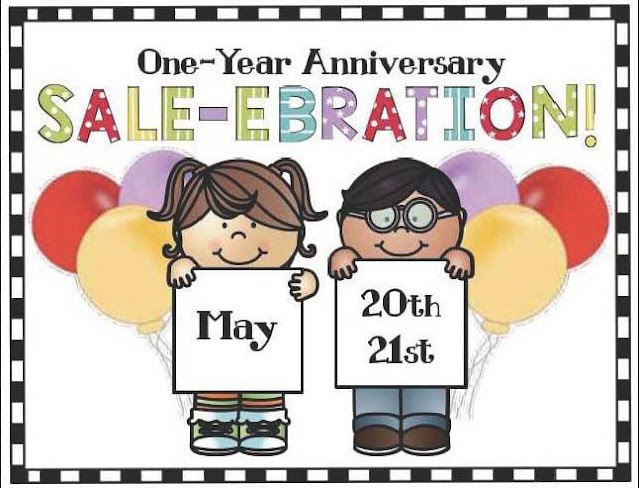 It's a One Year Sale-Ebration! My Friend Diane at TeachWithMe is celebrating her one year anniversary on TPT by having a 20% off sale. Diane is one of my favorite online cyber buddies. I am giving away three of her terrific resources this weekend....visit this post on Facebook and leave a comment about which of these three resources you would like to win as you head into summer! I will give away three resources for every ten comments, so tag a friend and get them to enter too!